TypeScriptis very essential to write code in Angular 4 and other higher versions. 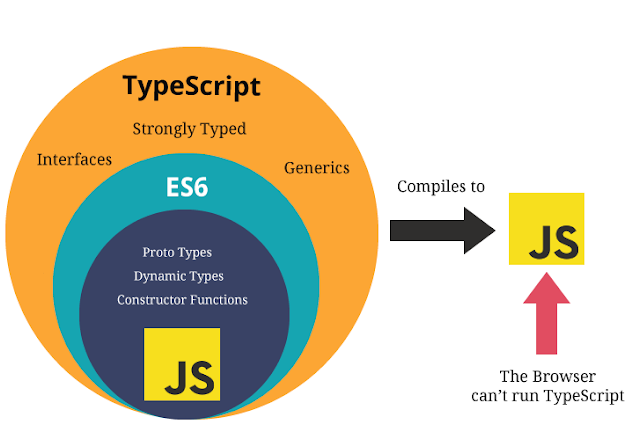 In this Article, you can understand about TypeScript. To know more about Angular 4, Please visit our main website - Angular Latest Topics. · TypeScript is Strongly Typed Language which means you have to be specific with Variable type. · TypeScript doesn’t run in the browser. We need to compile it to JS to run. · Due to the static typing, code written in TypeScript is more predictable and is generally easier to debug. · Makes it easier to organize the code base for very large and complicated apps with the help of modules, namespaces and strong OOP support. · You can use TypeScript for other JS libraries Because TS compiles plain JS. · TS is platform Independent. · TypeScript doesn’t need any dedicated VM or a specific runtime environment to execute. · The file extension of TypeScript is “.ts”. · The TSC (TypeScript Compiler) is a source-to-source compiler (transcompiler / transpiler). · The TSC generates the equivalent JS code from the source TS code. This process is termed as transpilation. · tsc first.ts This will create a new file named first.js in the same location. Keep in mind that if you already had a file named first.js, it would be overwritten.